Pictured are (left to right): H.D. Fitzpatrick, Cecil C. Sanders, William F. O'Donnell, Robert R. Martin, Flem D. Sampson, Keen Johnson, Lois Calley. 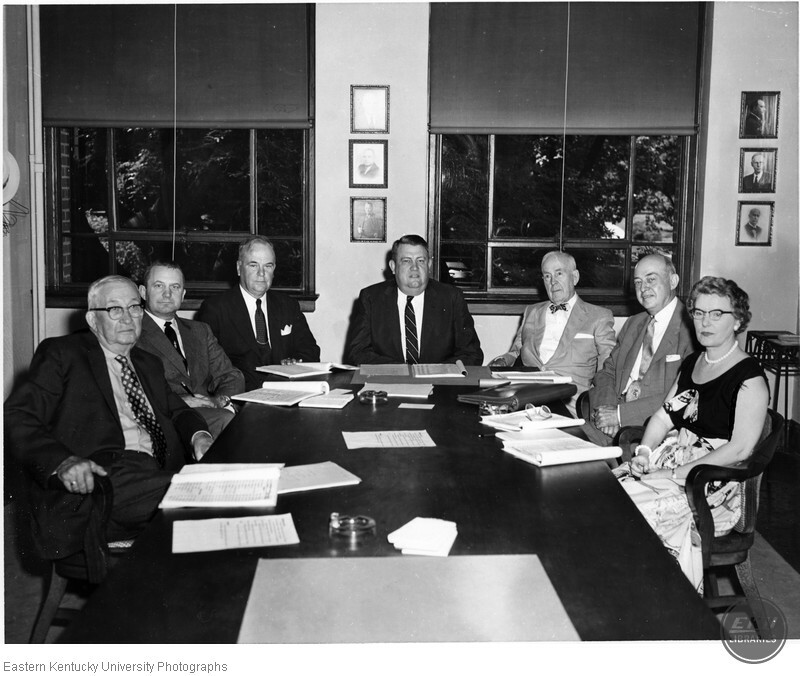 “Board of Regents during a meeting,” Digital Collections, accessed April 24, 2019, https://digitalcollections.eku.edu/items/show/32954.